Puck | Home Studio, Inc.
Puck Wall Art is comprised of two disks to create a warm, visually sharp and mathematically creative effect. 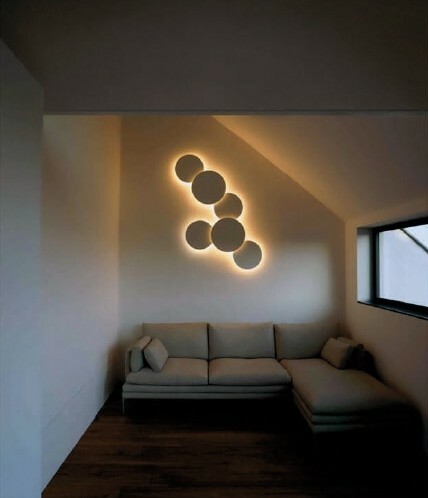 There are two sizes of disks, allowing the designer to play with varied combinations of indirect light. The resulting design comprises a set of highly dynamic, sculptural compositions, whose shapes emit a cozy light, without casting heavy shadows or a harsh glare.